Edited to add: The Debbie Bliss Astrakhan has been discontinued. I haven’t tried it yet but would recommend trying the new boucle from Rowan called: Rowan Purelife British Sheep Breeds Boucle. It looks perfect for this project! 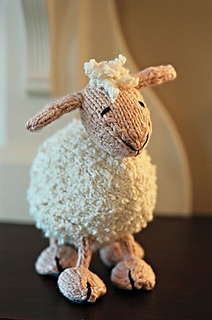 Every knitter loves a knitted lamb. The boucle yarn used for the body and the curly topknot are perfect for creating that wooly look. The legs are cleverly constructed of I-cords stuffed with straws, which allowed the lamb to stand on its own. 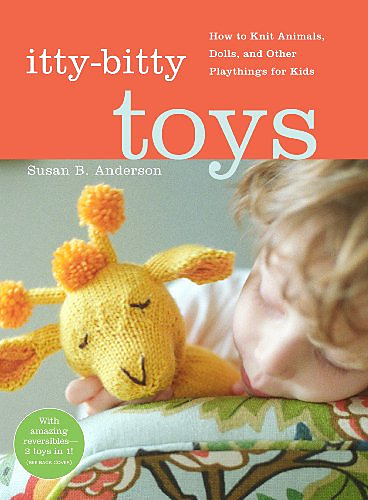 Make one for your favorite child and another for your favorite knitter -- they’ll both love it. Also available free at Woman’s Day website. Pattern Note: If your I-cords are too tight to fit a straw inside try making an I-cord with 5 stitches instead of 4! Then your straw will fit inside.